“Elmore Leonard may be the greatest crime novelist in the world,” declares the Seattle Times, and truer words have never been written. Just follow the Grand Master of mystery and suspense to Florida’s Gold Coast and you’ll quickly discover that it’s so. In this classic Elmore Leonard thriller, a beautiful mafia widow stands to lose everything her late mob boss husband left her if she succumbs to her desire for an attractive Detroit ex-con—so the two conspire to outwit the thugs the dead capo assigned to make sure she stays chaste. Superior crime fiction in the vein of John D. MacDonald, Dashiell Hammett, James M. Cain, and Robert Parker—chock full of the eccentric characters, black humor, and razor-sharp dialogue for which the acclaimed creator of U.S. 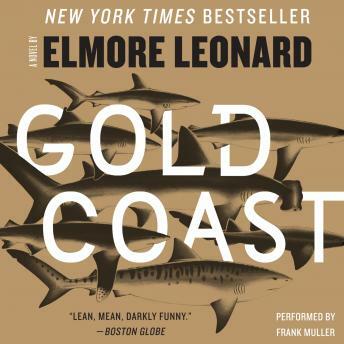 Marshal Raylan Givens (of TV’s Justified) is justifiably famous—Gold Coast is gold standard Leonard.